Bio: I am a fifth-generation native of Northwestern Colorado, a small business owner and mother of two daughters. I earned a Bachelor of Social Work and a Master of Business Administration from the University of Wyoming and was awarded a Juris Doctor from the University of Denver. During law school I clerked for the Rocky Mountain Land Use Institute. Following my admission to the Colorado Bar, I moved to Philadelphia to work in the telecommunications industry. 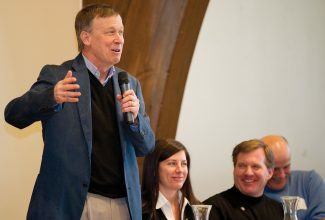 Upon returning to Colorado, I founded my own telecommunications company that has developed hundreds of cellular sites along the East Coast and throughout the Rocky Mountain region. I served on the Steamboat Springs Planning Commission from 2003 to 2007. In 2007, I was elected to serve on the Steamboat Springs City Council, serving as both president and president pro tem. While on City Council, during the Great Recession, I was known for returning the council to open meetings and my fiscal responsibility. I was elected as a Routt County commissioner in 2014. I am married to Dr. Mark Hermacinski, a general surgeon, and we have two daughters, Eva and Josie. In my free time I love to hike. Q. 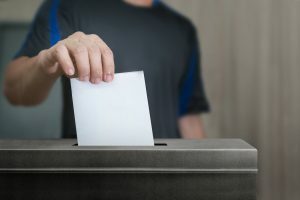 Why are you seeking re-election as county commissioner? A. Our families and businesses will continue to face challenges in the coming years and in my continued role as Routt County commissioner I will make essential decisions and provide the concrete results required for the long-term success of Routt County. As a fifth generation native of the Yampa Valley, an attorney and a business woman in the telecommunications industry I have a long-term commitment to our county and an experienced professional background. My past record of public service at the planning, municipal and county commissioner levels of service demonstrates a depth of experience. I am fiscally sensible, a champion for open and service-oriented government and solidly support business advancement and private property rights. Perhaps most important I am a customer service-oriented commissioner. I am immediately responsive to citizens who believe their government is not serving them appropriately and work quickly to implement solutions. During my time in office, I can point to concrete changes that have been made at the county level of government that benefit all citizens. I ask that you support my efforts with your vote. Q. Does Routt County have a role to play in meeting demand for workforce or attainable housing? If so, what are some of the measures the county should be taking to spur development of that kind of housing? A. Yes, Routt County plays a large role in addressing affordable housing. In January of 2017, I penned a letter to the Yampa Valley Housing Authority outlining 13 specific efforts on the part of Routt County on the issue of affordable housing. You can read the full letter by visiting VoteCari.com but six of the most important efforts are: 1) providing funding for YVHA since its inception, 2) offering to consider urban density development in the County within the Urban Growth Boundary to allow for the creation of neighborhoods similar to Steamboat II, Heritage Park and Silver Spur, 3) liberalizing the county regulations on secondary units, 4) developed a strategic initiative to improve and streamline all County permitting processes including planning, building and environmental processes, 5) updated the Stagecoach Area Plan to allow for more flexibility to encourage development of the Stagecoach Growth Center and 6) supported the development and adoption of the COPACE ordinance, which provides multi-family residential developments with a mechanism to install energy saving improvements which significantly improve monthly affordability for the life of the housing unit. Q. With the cost of housing in Steamboat Springs continuing to rise, more and more people are moving to Hayden, Oak Creek and Phippsburg where home prices are lower. With sprawl comes the need for transportation, would you support the creation of a transit authority? And what role should the county play in its creation? A. My answer to this question is essentially the same response given below about a parks and recreation district. At this time I would not support the creation of a transit authority because of the number of taxes local voters will be presented with over the next year. Historically, local taxes are successful when led by a citizens group and developed methodically with robust public education. Our future may hold a transit authority since Steamboat cannot satisfy all the growing needs of affordable housing and having a coordinated transportation system that will move people from our outlying towns could be very important. We must be aware that getting people out of their cars siphons money away from real physical measures on our roadways. There is no system of public transit in rural areas that pays its own way, and, once implemented, it must be maintained and improved. These benefits and pitfalls should be carefully weighed with strong citizen input prior to going to the voters for a transit authority. Q. As a commissioner, what would you do to support economic development in Routt County? A. I serve as the Routt County commissioners’ representative on the Steamboat Springs Economic Development Council. One of the concrete results we’ve delivered in the economic development realm was Routt County’s admittance to the State of Colorado’s Rural Jump Start program. Jump Start was designed to help economically distressed counties in Colorado attract new businesses. The program provides real tax relief for businesses and requires that the jobs are higher in pay than the median county salary. In 2016, the first round of counties eligible for the program was announced and Routt County was not among them. We dug in and asked other community members to help gather data showing economic distress in Routt County to share with State staff. In February of this year, the State EDC admitted all of Routt County but excluded the city of Steamboat Springs. In August, the day after it was announced that Smartwool was leaving Steamboat, I met in person with Luis Benitez from the state and requested that the Governor’s Office get Routt County back on the State EDC agenda for reconsideration. In September, I attended the State EDC meeting, and Steamboat was admitted to the Jump Start program. Q. Would you support lifting the moratorium on marijuana grow operations and/or retail marijuana businesses in unincorporated Routt County? Why or why not? A. At this time I would not support lifting Routt County’s moratorium on either marijuana grow operations or retail operations. This is a change from when I was asked this same question four years ago by the Steamboat Pilot and Today. In 2014, my response was that I was open to lifting the moratorium on marijuana grow operations in unincorporated Routt County since grow operations are an agricultural activity. I was not open to lifting the moratorium on retail marijuana businesses since the Routt County Master Plan stipulates that retail operations should be located in the municipalities. The reason for my change of mind on this issue since 2014 is the federal government’s change in stance. In 2014, the Obama administration’s official position was to largely let each state regulate marijuana. Under the Trump Administration, the continued viability of marijuana operations – both grow and retail – are on uncertain ground. I would not support devoting the county resources that will be needed on this issue until we have certainty from the federal government. We have many other long-range planning issues that would be a better use of county resources at this time. Q. How do you propose to strike the proper balance between the needs of residents living in the county’s outlying areas with the population density surrounding Steamboat? A. I believe residents of Steamboat Springs and Routt County are similar when it comes to their priorities for elected representatives. They want customer service, transparency, prudence with their tax dollars and concrete results. One area where the views of residents of Steamboat and those of rural Routt County may diverge is energy development. City residents may view tourism as the main economic driver while many county residents are interested in developing their mineral rights. City residents may view energy development as incongruent with environmental tourism. Yet, managed properly, these supposedly conflicting priorities can be reconciled. One of the things I recently did in my commissioner service was bring Dr. Eric Eddings from the University of Utah to speak to citizens about future uses of coal. Dr. Eddings believes that burning coal for energy production will continue to decline and his primary area of research is using coal as a high value raw material that may be used as a rare earth element or used to produce abundant, economical high grade carbon. As commissioner, I continuously seek reconciliation of seemingly opposing views. Q. What guides you when it comes to land use planning? A. The Routt County Master Plan is the county’s guiding document, and I support the plan. The essence of the Master Plan is a balance of maintaining the rural nature of Routt County with appropriate development. 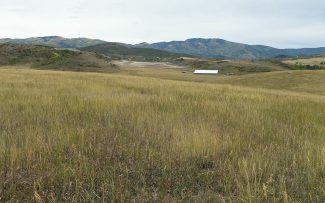 The plan generally requires that all commercial and commercial-type activities be directed to the municipalities in Routt County and that the unincorporated parts of Routt County remain open and agricultural in nature. The other guide with respect to land use issues is my strong background in this area. Land use was my area of concentration in law school. I clerked at the Rocky Mountain Land Use Institute while in law school and I also clerked for its co-founder Professor Ed Ziegler. Professor Ziegler is the author of Rathkopf’s “The Law of Zoning and Planning,” which is the most frequently cited work in the field of land use law and I edited subsequent editions while clerking for Professor Ziegler. I have a strong background in land use which has benefitted me during my community service. Q. Would you support a county-wide parks and recreation district? Why or why not? Q. What’s one thing you would do to ensure the future viability of our water supply? A. I studied water law under John A. Carver, Jr. and briefly wrote for the University of Denver’s Water Court Reporter, so I have an appreciation of basic water law practices in Western Colorado. The Upper Yampa River basin is blessed with abundant, high-quality water. The county’s planning process must emphasize protection against material deterioration of the water quality in the river. The county should cooperate with other local water agencies to protect existing water storage reservoirs in our basin that provide supplementary flows during late summer and fall and which supply municipal and irrigation demands. The county previously adopted what are known as “1041 Regulations,” which would impose a detailed review if any Front Range entity seeks to divert Yampa River water. I will fully utilize any political leverage I have to protect our water from trans-basin diversion. The severe drought will create significant political and legal pressures on the water storage in our reservoirs, as the seven basin states and regional water entities seek to keep Lake Powell from dropping too low. County commissioners must stay abreast of these multi-state water planning activities, but in truth those matters will primarily be handled by state and inter-state negotiators. Q. What are the two most significant issues facing the county today and how would you propose to address them? A. The first issue is a budget crisis in 2020 created by the Gallagher Amendment. We are set to experience a phenomenon that has never occurred before which is that the decrease in the assessment ratio for residential property will exceed the increase in assessed valuation. 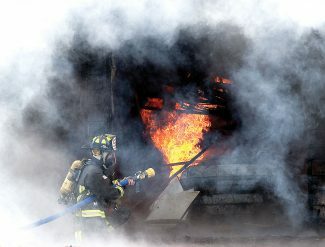 This could translate to a loss of several million dollars to the county budget and will require some tough decisions. I served as the Steamboat Springs City Council president through the Great Recession, and I’m prepared for the task. 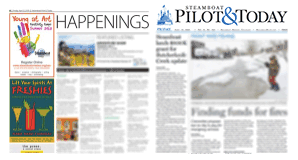 The second issue will be the creation of housing around Steamboat Springs. Workforce housing has been very successfully developed in unincorporated Routt County. Steamboat II , Silver Spur and Heritage Park have a 96 percent build-out rate, 97 percent of the homes in those three neighborhoods have a Routt County mailing address, indicating that they are not second homes and the assessor’s records show that homes in these subdivisions sell for 33 percent below similar homes within the city of Steamboat Springs. Given this history, I think it makes sense to consider new housing aimed at permanent residents in the west of Steamboat area, without immediate annexation to the city.